Mutya ng Dabaw 2012 Marianne Mae Te (center) and her court (Patet Magalona Fermin). 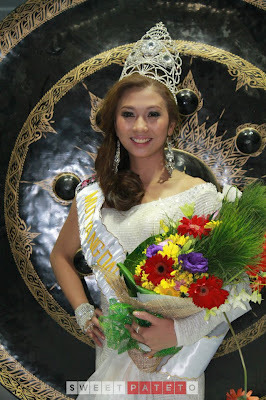 Mutya ng Dabaw 2012 just recently concluded last night and the winner is the bubbly and beautiful Marianne Mae Te. Te was a 21-year-old model and a certified cook who dreams to own a hotel or restaurant someday. Te was an early crowd favorite because of her bubbly aura. She won because she was fluent in her answer and shows a bubbly personality during Dingdong's casual interviews. She is an AB Hotel and Restaurant Management graduate of the Philippine Women's College. Dorothy Maruel Ibanez of Lanang, a registered nurse was crowned Diwa ng Davao (first runner-up). Jhoanna Myles Te of Bajada was crowned Sinag ng Dabaw (second runner-up). Maria Theresa Tan of Ulas, an AB Communication Arts graduate from the University of Immaculate Conception, is the third runner-up or the Pag-asa ng Dabaw, while Ateneo de Davao University law student Jazzel Therese Gomez was fourth runner-up. 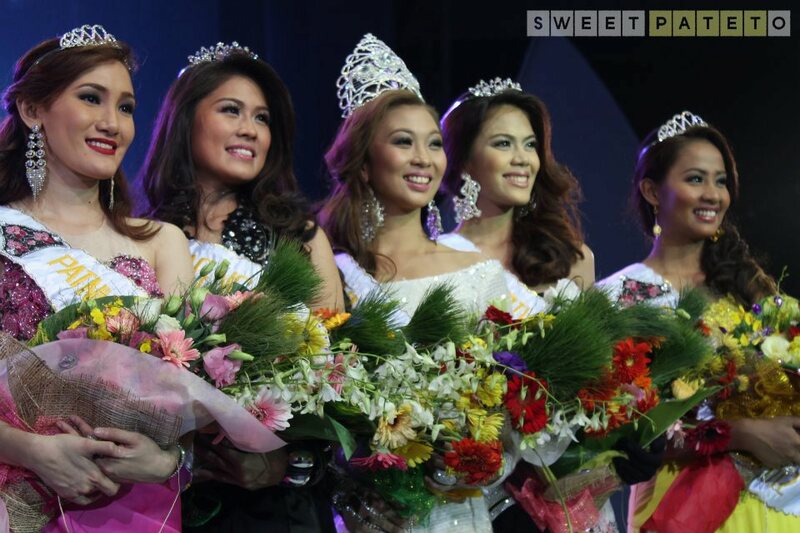 Marianne Te also won Miss AirPhil Express. She can travel any Philippine Destination. My bet was actually Jhoanna Myles Te. She is very bubbly also and I like her candid shots. But she failed to answer flawlessly during the Q and A round. I am still happy with Marianne, she is my 2nd bet.